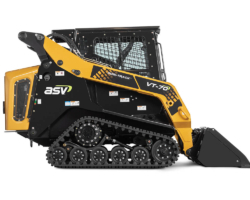 The VT-70 is ASV’s only compact track loader with special vertical lift loader linkage, making it your best option for any application where you need extended lift or reach. 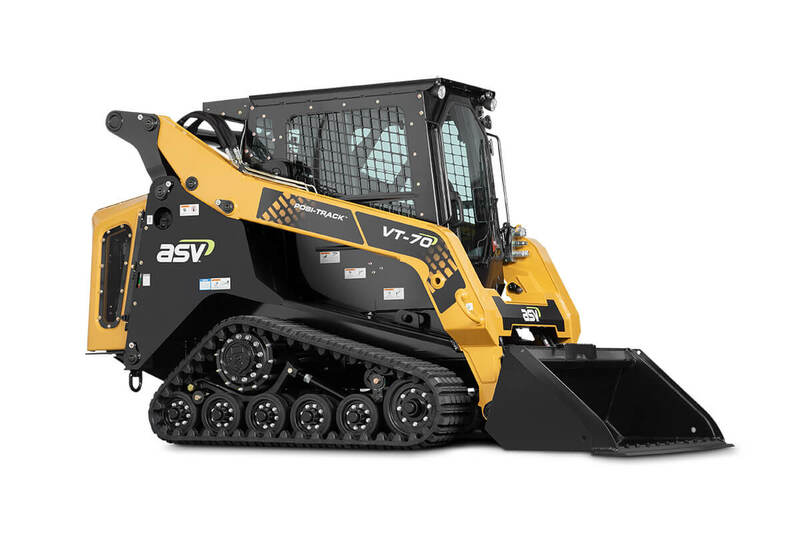 Although the VT-70 looks similar to the other ASV compact track loaders, it’s vertical-lift capabilities and 10.5-foot lift height make this machine the best choice for lift-and-carry tasks—especially in agriculture, construction, and excavation applications. Operators will experience a lift in productivity too. 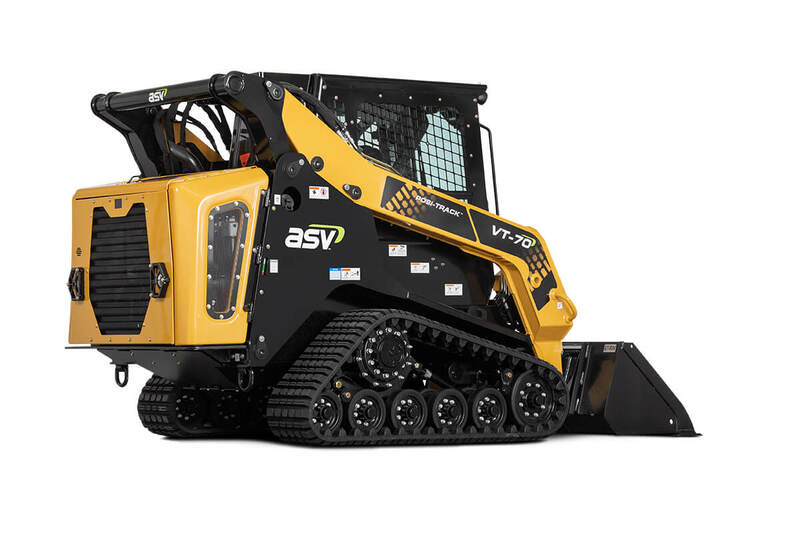 With the extended reach of the vertical lift, streamlining tasks like loading trucks and heavy digging are no big deal. 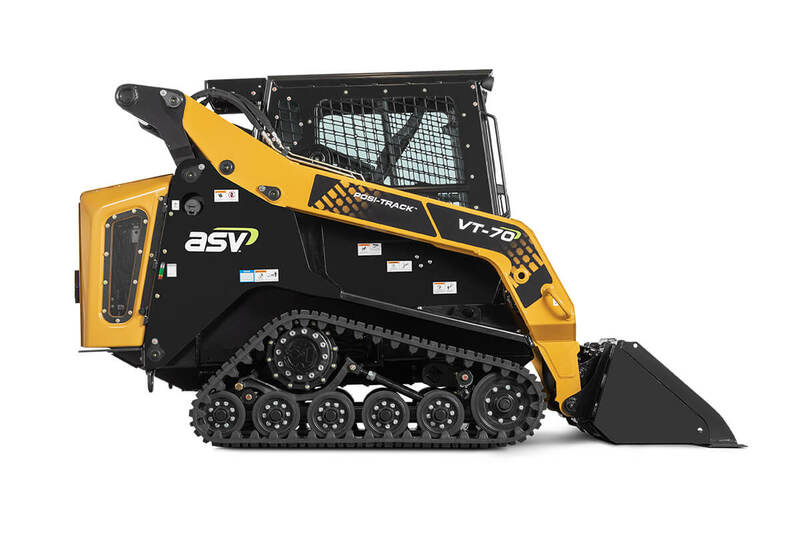 The ASV VT-70 is a mid-sized vertical lift compact track loader and features a Kubota 2.4-liter turbocharged diesel engine. 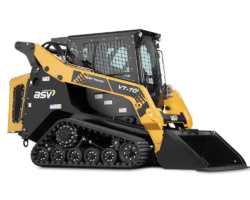 The 65-horsepower engine produces 146 foot-pounds of torque and the planetary drive motors transfer it to our patented internal-drive sprockets. 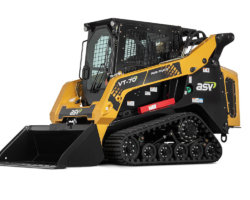 Internal rollers prevent friction loss in the undercarriage, and since the undercarriage is separate from the chassis, you get greater push power and traction regardless of drive speed. 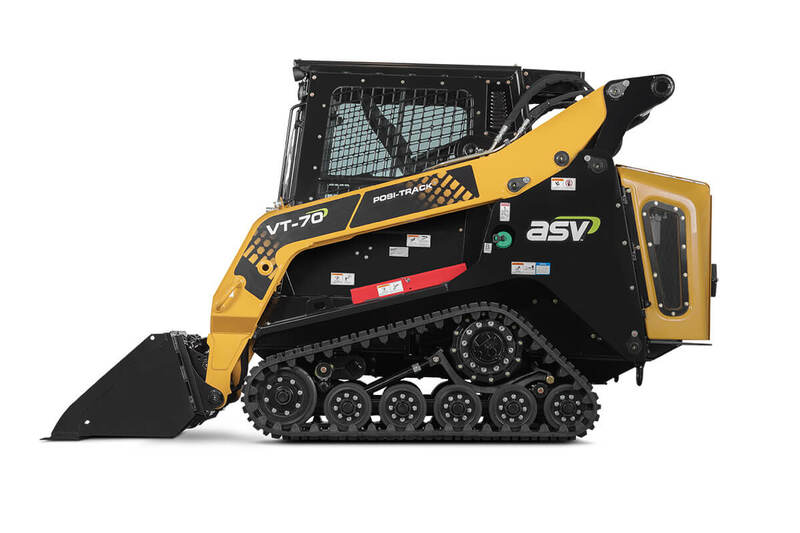 The VT-70 is a powerful machine that comes with two speeds that can be changed while in motion, in either forward or reverse. 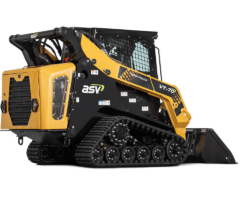 Its large line sizes, hydraulic coolers and direct-drive pumps enable operators to run a variety of attachments more efficiently than what’s possible on belt-driven pumps on competitor’s higher-horsepower machines. 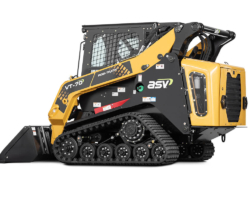 Where the VT-70’s auxiliary hydraulic system optimizes power flow, other competing units can lose as much as 30 percent horsepower doing the same tasks. 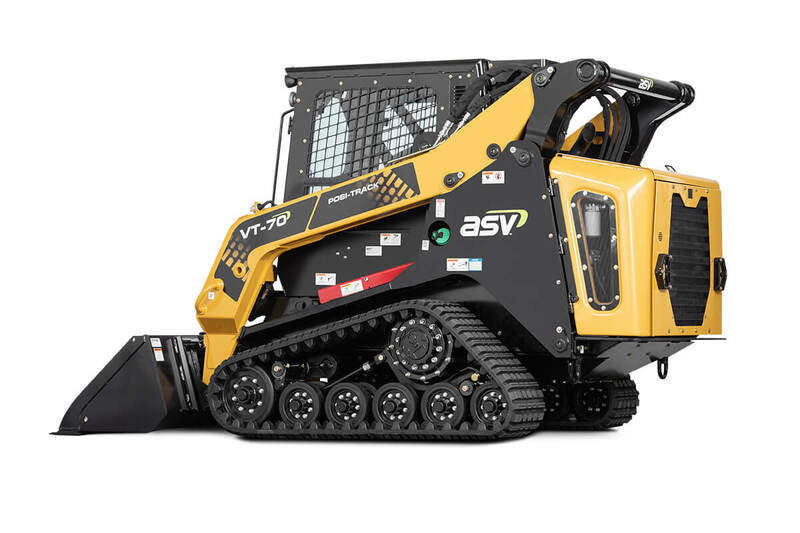 We loaded the VT-70 with operator comfort features. The sealed, pressurized cabin comes standard with air conditioning and heat, an AM/FM radio, and more. 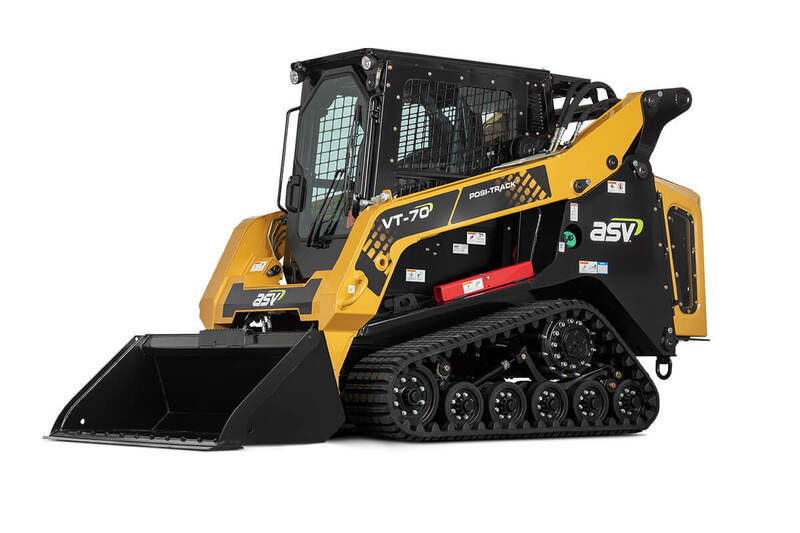 Ride control helps limit material loss while carrying and improves operator comfort.The VT-70 is also equipped with a self-leveling system and stabilizing attachments to a set position while lifting. 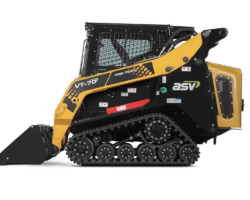 Because your time is valuable, we built the VT-70 with serviceability in mind. And this machine isn’t just serviceable, it boasts best in class serviceability to save you time and money on a weekly basis. It’s built with a three-panel hood arrangement that has two fold down side doors and a swing out radiator so you get easy access to your daily service points including the air filter, battery, and oil filter.